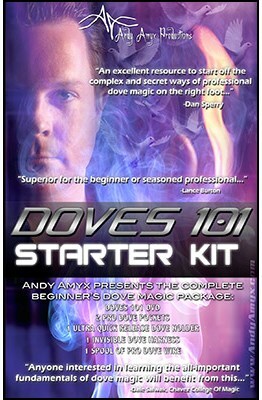 Andy Amyx presents the Complete Beginner's Dove Magic Package. This comes with everything you will need to perform amazing dove magic! Make no mistake about it, the items in this package are the same that working professionals use and pay a lot of money for separately.